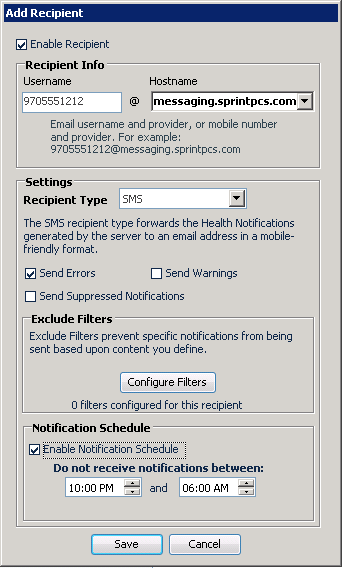 Notification Schedules are periods of time where Notifications will not be sent to the recipient, and are available for the Email and SMS Recipient types. For example, this feature is useful if you wish to not be disturbed by text messages arriving on your mobile phone during the night. The Notification Schedule is configured per recipient and can be set on the Add/Edit Recipient screen.